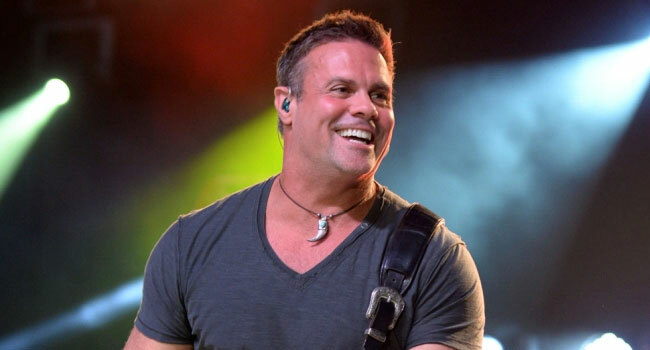 Federal investigators have determined pilot error is what caused the helicopter that Montgomery Gentry’s Troy Gentry was a passenger in to crash last year, ultimately costing both the country singer and pilot their lives. The National Transportation Safety Board (NTSB) has released a two page final report on Tuesday (Dec 3rd) detailing the findings. Per Nashville’s The Tennessean, the pilot reported to the airport he was “unable to control rpm with throttle inputs” several minutes after taking off from the Flying W Airport & Resort in Medford, New Jersey last September 8th. The pair were on board for a pleasure ride to sight see the area when it crashed near the runway a few minutes after taking off. Gentry’s singing partner, Eddie Montgomery, was at the airport when the accident happened. It occurred hours before the duo were to perform a scheduled concert at the airport’s entertainment complex with their band. A few months after the accident, Montgomery announced that he would continue to tour under the Montgomery Gentry banner with band members covering Gentry’s parts. He released their final album of all new material, Here’s To You, in February, and dropped 20 Years of Hits, featuring 12 newly recorded reworked versions of the duo’s biggest hits. The album was recorded before Gentry’s death and features Jimmie Allen, Rodney Atkins, Colt Ford, Logan Mize, Brad Paisley, Darius Rucker and Granger Smith. The Troy Gentry Foundation will hold its first C’Ya On The Flipside Benefit Concert on January 9th at the Grand Ole Opry House in Nashville. Performers include Jimmie Allen, Dierks Bentley, Lee Brice, Colt Ford, Halfway to Hazard, Chris Janson, Tracy Lawrence, Dustin Lynch, Eddie Montgomery, Justin Moore, Craig Morgan, Jon Pardi, Rascal Flatts, Ray Scott, Jeffrey Steele, Neil Thrasher and Darryl Worley. Blake Shelton and SiriusXM The Highway’s Storme Warren will co-host the event. Funds raised will be used to support the goals of the foundation; providing financial support to organizations that aid in cancer research, assist military families and families in need, and help provide music education to future generations.